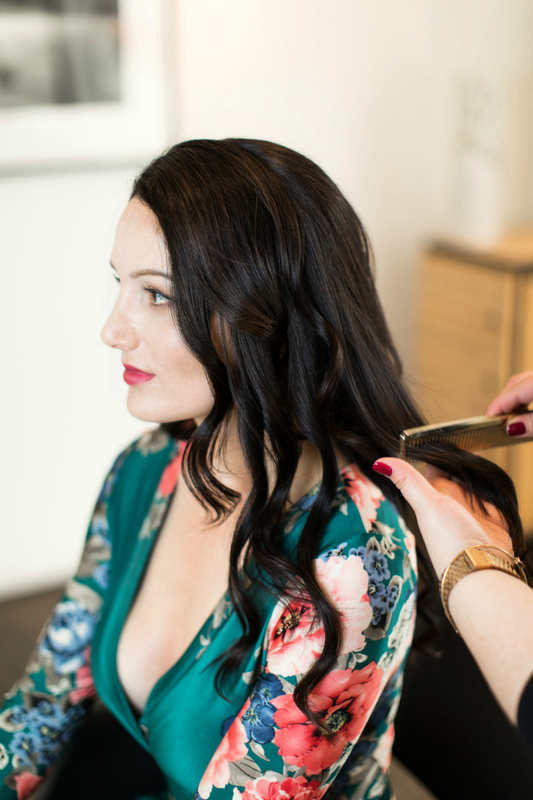 To help you elevate your look this season, Inspirations & Celebrations recently launched a new 4-part hairstyle tutorial series in collaboration with talented hairstylist Lili Cabrera (from the award-winning Oya Salon in Monterey, California). Featuring pretty runway-inspired hairstyles, these tutorials will teach you how to easily create salon-worthy looks at home. 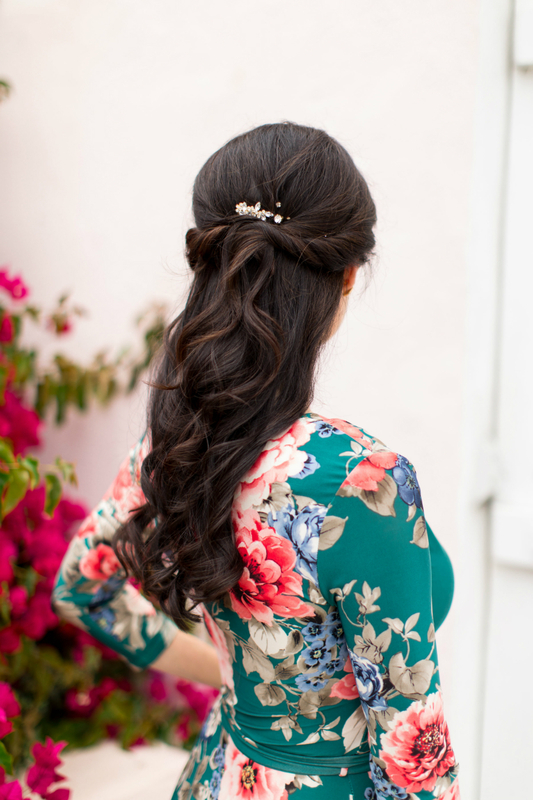 In Part 1, Lili taught us how to create romantic loose curls; in Part 2, she showed us how to create a glamorous ponytail that’s anything but basic. 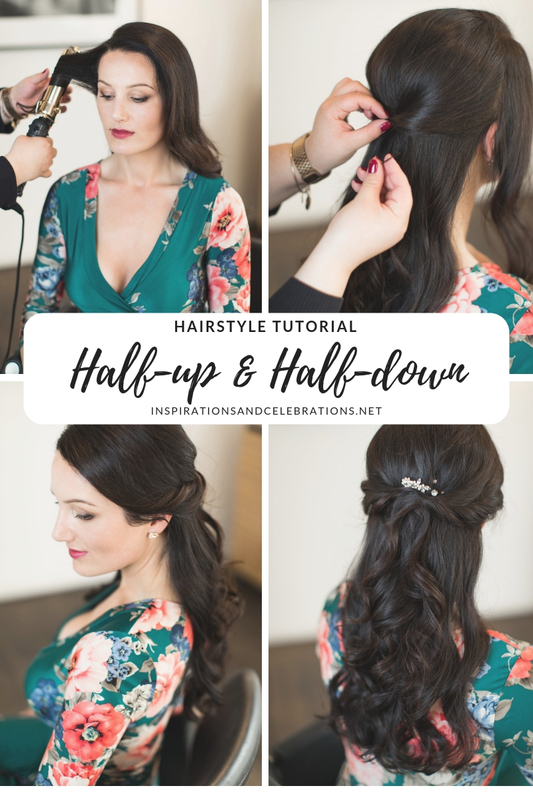 In today’s hairstyle tutorial, Lili creates a gorgeous half-up half-down hairstyle that’s ideal for any celebration. 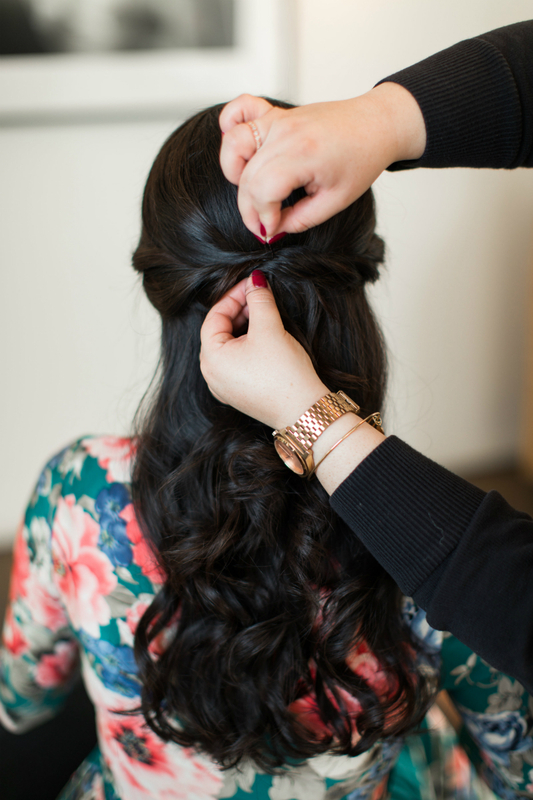 Step 1: Start by curling hair with a curling wand. Take sections and curl away from the face, this allows for a soft curl. 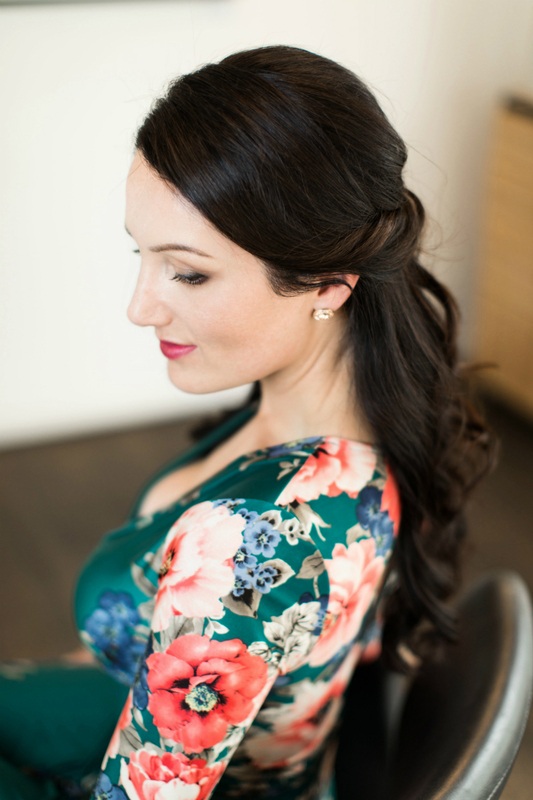 Continue curling hair back away from the hairline and allow to cool. This will ensure that curl holds its shape better. 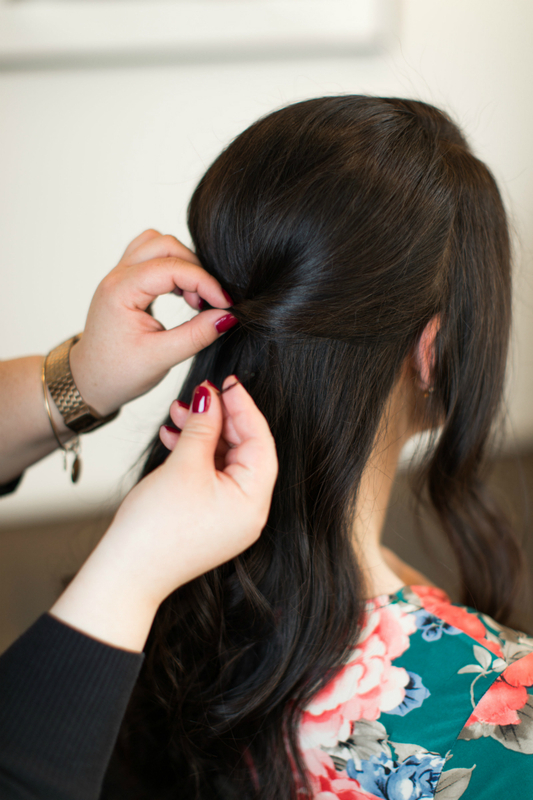 Step 2: After hair cools comb hair to create a softer curl. 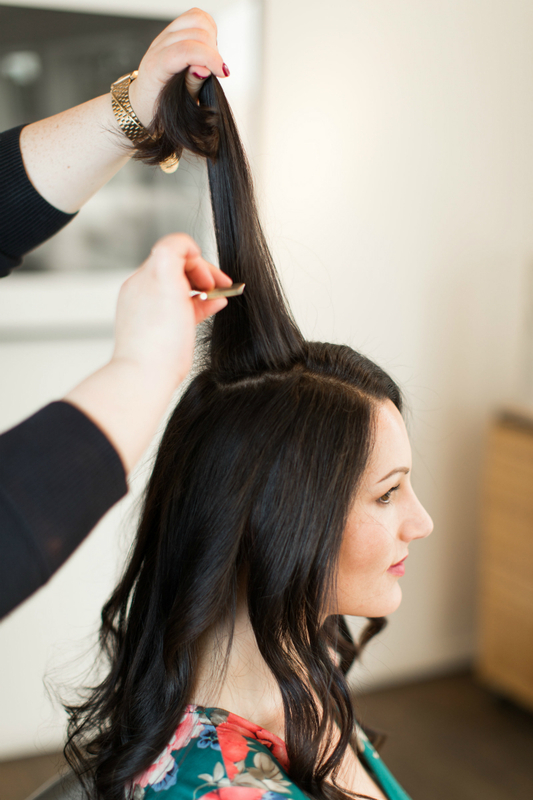 Step 3: Tease hair, holding it lightly and straight up, comb down creating a cushion. Step 4: Twist sections back and pin the hair half-up. Step 5: Take sections from the hairline and loosely twist back. Lightly pull at twists to create more texture. 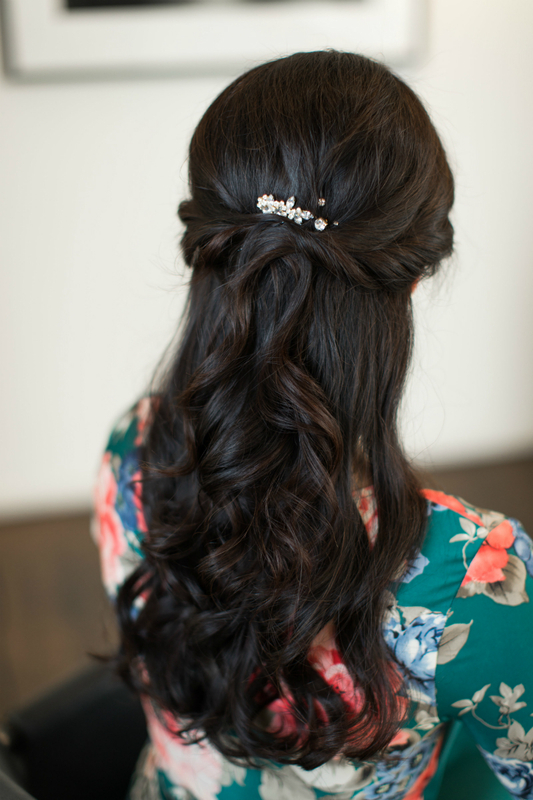 Step 6: Lightly apply a finishing spray and add your favorite accessories for an elegant half-up half-down look. For more beauty tips and tutorials, visit the Hair and Health & Beauty sections on Inspirations & Celebrations.